On Tuesday, China announced that nearly 50 representatives of foreign governments, including over a dozen heads of state and government, would attend September 3rd's celebrations marking the 70th anniversary of victory in the Chinese People's War of Resistance Against Japanese Aggression, along with the broader victory in the Second World War. The leaders to observe the military parade moving past the Tiananmen Square Rostrum in the heart of Beijing will include Russian President Vladimir Putin, Belarusian President Alexander Lukashenko, South Korean President Park Geun-hye, Venezuelan President Nicolas Maduro, South African President Jacob Zuma and Pakistani President Mamnoon Hussain. The parade will also feature nearly a thousand troops from the armed forces of over a dozen countries, among them Russia, Kazakhstan, Kyrgyzstan, Mongolia, Pakistan, and Serbia. But as Western and Chinese media have observed, neither the United States nor Japan plan to send their top officials to the event, while Czech President Milos Zeman will be the only serving European head of state in attendance. The US, Canada and Germany plan on sending only their ambassadors, while France and Italy suffice in sending their foreign ministers. In an article commenting on Western leaders' decision, The Washington Times attempted to explain away the snub by suggesting that the commemorations are setting up to be "a rerun of the awkwardness that accompanied the military and nationalist display put on by Russian President Vladimir Putin this year to mark the Soviet Union's victory over Nazi Germany: A parade through Red Square that President Obama and many top European leaders skipped." Leaving aside questions about what exactly constituted a 'nationalist display' in Russia this past May, the newspaper argued that the celebrations have "come to represent the growing ideological battle between a China on the rise and a West fearful of the Asian nation's growing military might." 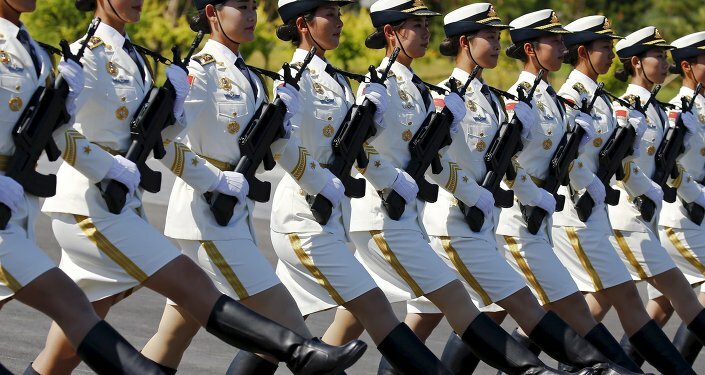 Western officials, according to the paper, fear "the political implications of embracing the parade, which is expected to show China's prolific military capabilities." The paper suggested that the fact that the parade is to be held on Beijing's Tiananmen Square only "add[s] to the awkwardness" of the event, recalling the Chinese government's crackdown on youth activists in June 1989. Robert A. Manning, a senior fellow at the Washington-based think tank Atlantic Council, told the newspaper that "a lot of these Chinese ceremonies these days are really intended to highlight the fact that they want to be seen and respected as a great power, and that's a great portion of what this is about." The analyst seemed to pay little heed to China's estimated 15-20 million in military and civilian deaths during the brutal decade-and-a-half long war, which began in September 1931 when Japanese forces invaded Manchuria. The Washington Times argued that ultimately, the parade also comes at a bad time "amid new tensions between China and Japan, Asia's other economic superpower, and between China and many of its neighbors" over what it called "Beijing's aggressive moves to stake its claim to sovereignty in the heavily trafficked South China Sea." The newspaper also quoted former Obama adviser Evan Medeiros, who suggested earlier this year that the countries of East Asia should try to "get past [World War II] so that it can realize its full potential as a driver of global growth," hinting that China and other countries ravaged by Japanese aggression during the war should "let history be history, but be mindful of it." China has strongly condemned Japanese officials' refusal to acknowledge the full extent of the war crimes committed by the Japanese military during the war, which affected the people of China and Korea most severely. It is telling that Japanese Prime Minister Shinzo Abe, repeatedly accused of watering down his country's wartime atrocities, will not attend the ceremony. It also bears mentioning the US State Department's attempts to pressure the South Korean President not to attend the commemoration. The Washington Times' tone was echoed by other Western publications, including The Economist, which featured an editorial noting that the parade was "not just about remembrance," adding that it will "unsettle" its neighbors while the country "plays up themes of historical victimhood and the need to correct [them]." 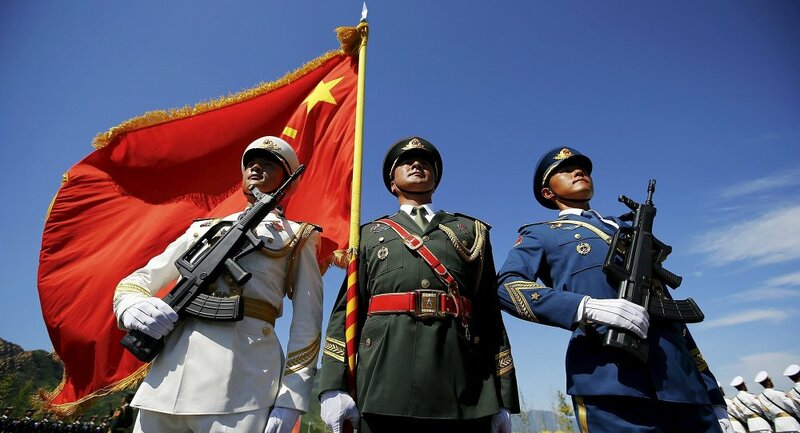 What Do the Commemorations Really Mean to China? Diplomatic protocol hasn't allowed Chinese officials to show the full extent of their disappointment in Western leaders' decision not to attend the parade, with Qu Rui, the parade's chief PLA organizer, noting only that China respects "countries choices over whether to come or not," and adding that "we will extend our warmest welcome for all foreign troops and delegations that have decided to come." But as Renmin University professor Wang Yiwei explained in a recent article for China Daily, China's 14 year-long war against Japanese fascism, its tying up of a good majority of Japanese forces through the course of the war, and the country's tremendous material and human sacrifices, "deserve full acknowledgement," and give China "every reason to celebrate the hard-won victory against fascism." In this light, according to Wang, Western leaders' refusal to attend the commemorative events "is unacceptable." 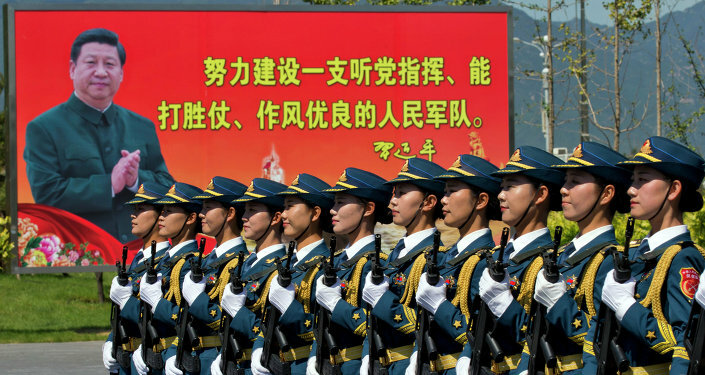 Wang emphasized that for too long, "China's contribution to victory in the anti-fascist war has been underestimated both at home and abroad," and that "by holding a military parade on a day other than National Day [October 1], China, as a rising power, aims to send a message that it is ready to relinquish its 'victimhood'." The professor noted that "apart from reminding postwar generations in China and Japan of the hard-fought peace and the importance of maintaining it, the commemorative events in Beijing are [also] expected to show China's resolve to safeguard the postwar world order and regional stability, instead of undermining them." Wang's commentary was echoed by Xinhua, which noted in a piece last week that the commemorations will be aimed first and foremost at remembering the millions of Chinese WW2 veterans, "many of whom already perished without due recognition," and their tremendous contribution to the global fight against fascism in the 1930s and 1940s. According to the news agency, the celebration will demonstrate that "it is not yet too late" for the veterans still living and their relatives to commemorate the victory. Moreover, as Xinhua emphasized, the commemorations marking "the defeat of the Japanese invaders" in the war will also serve as "a turning point for China after more than a century of humiliation" by foreign powers. Xinhua's commentary voiced the hope that this year's celebrations will remind the world of their "forgotten ally's" contributions to victory. "As the world commemorates the 70th anniversary of WWII victory, the parade should serve to remember those that died in the Oriental battleground, to help defend history, and safeguard world peace and international justice." For their part, the Russian government, activists and social organizations have long-stressed that Russia has not forgotten China's sacrifices, nor its contribution to the victory against global fascism. As Russia-China Friendship Association Vice President Galina Kulikova emphasized in an interview for Xinhua this past June, "Russia and China, as the two main forces fighting in WWII in the Western and Oriental battlefields, have come through great hardships and won the war with terrible loss of human life. The upcoming commemorative events in China mean that our countries stand against the falsification of the results of WWII."